Local health activists have demonstrated that simple and scientific interventions rooted in community practices can save lives and improve health. Undirwade turned 64 on July 1. She remembers her age well, which is rare for older people in rural India. For the last 21 years, Kajubai has been successfully saving babies from suffocation, bacterial infections and fevers. As some girls walked by her house, she proudly pointed out one she resuscitated just after birth. The girl is 18 years old now. Undirwade is not a doctor or a nurse. She did not even complete eight years of schooling. But in 1994, she trained to be an arogyadoot or health ambassador with the Society for Education, Action and Research in Community Health (SEARCH), a pioneering rural health organisation set up in 1986 in Gadchiroli. 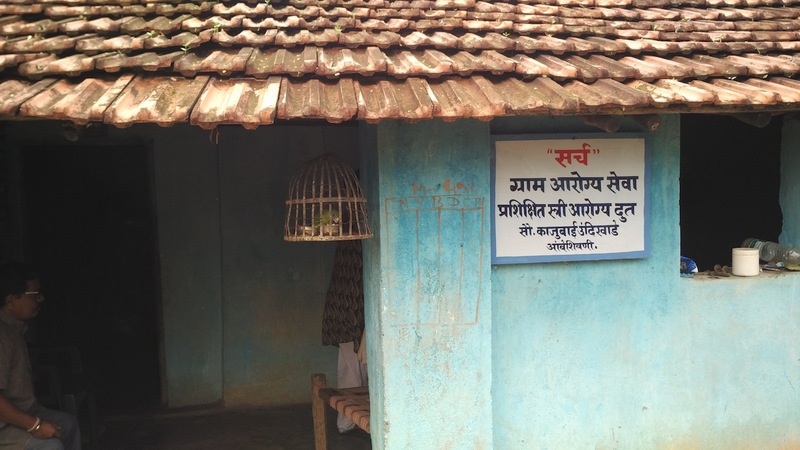 The sign outside Kajubai's house, which reads 'SEARCH: Village health service'. The basic features of SEARCH’s Home Based Newborn Care model are well known and have been widely reported, in both scientific journals and popular media. SEARCH’s interventions helped bring the infant mortality rate down from 76 deaths of 100 live births of babies aged less than one year 1993-95 to 31 deaths per 1,000 live births in 2001-'03. In villages without SEARCH interventions like arogyadoots, a large number of infants continued to die. In these villages there were 77.1 infant deaths per 1,000 live births in 1993-95 and 75.8 per 1,000 live births in 2001-'03. After the publication of these results, SEARCH’s arogyadoots transitioned from a research to a service orientation, continuing to bring child mortality down. Arogyadoots are trained to provide care for low birth-weight babies, babies with birth asphyxia and those with infectious diseases such as sepsis and pneumonia. According to the Million Death Study conducted by the Registrar General of India, these four causes together account for 78% of total neonatal mortality or the deaths of infants younger than one month. It is in the neonatal period that babies are the weakest, and most vulnerable to diseases and death. Often, these conditions occur together. Using her simple and localised medical kit, Undirwade showed us how to detect these conditions and what to do about them. As soon as a baby is born, she checks if the baby is crying, breathing, and not gasping. If any of this doesn’t happen, she starts what the World Health Organisation calls bag-and-mask ventilation, after clearing the airways in the baby’s mouth, ears and nostrils. She makes sure that, following WHO guidelines, she starts this process within the first minute of the birth. Until she can see that the baby is breathing without difficulty, Undirwade continues to ventilate. “Information asymmetry” is the polite term used by economists to describe massive hierarchies in knowledge between providers and recipients that characterise fields such as medicine and law. 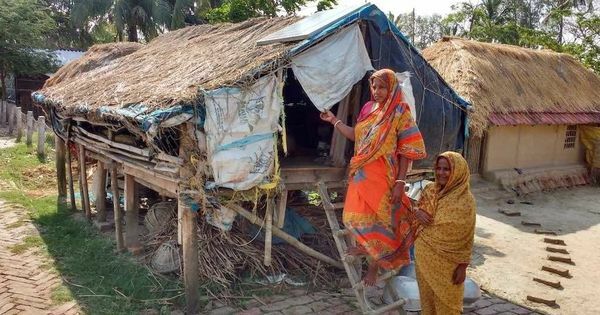 These inequalities of information, along with an unresponsive health system in a society riddled with hierarchies of gender, caste, wealth, age and education present particularly insurmountable challenges for improvements in well-being in India. Because of her repeated demonstrations and quiet insistence on following guidelines, the logic behind these simple methods has percolated into wider village consciousness. By following the exact same set of procedures for all babies in the village, Undirwade is also able to keep other forces of inequality, such as those of gender and caste, at bay. For all babies, Undirwade has simple and easy to understand recommendations: wrapping the baby in a warm cloth, keeping it warm by transmitting heat from their parents’ bodies, adequate and exclusive breastfeeding, avoiding infections by washing hands and maintaining hygienic conditions. These help improve health and survival of all babies, but are especially useful for babies who are born before the completion of 38 weeks of pregnancy, and those with birthweight less than 2.5 kilograms at birth. These are both common occurrences in India. Another intervention that Undirwade excels at is administering Vitamin K injections within the first hour of their birth. Her track-record, along with that of all the other arogyadoots, with these inoculations is flawless. So much so that a new doctor in a nearby health centre brought his own daughter to Undirwade, just to make sure that everything was done as it should be done. Arogyadoots like Undirwade and organisations like SEARCH have demystified a jargon-ridden profession while also using medical advances to save lives. 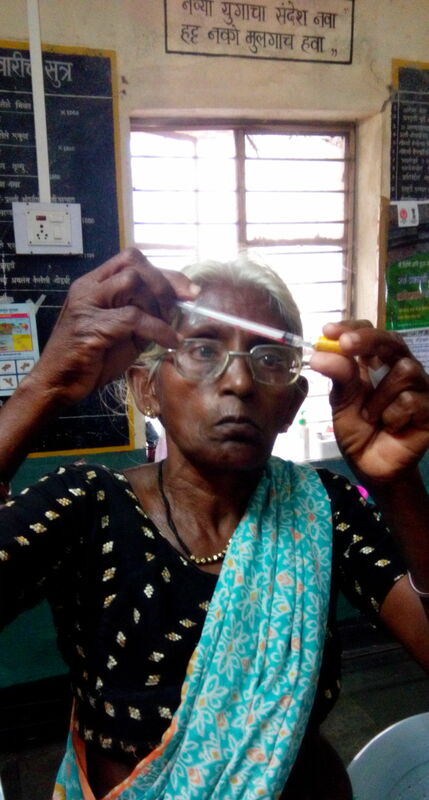 Kajubai’s skills and her explanations are remarkable, but even more remarkable is the way arogyadoots have democratised the technical field of medicine. In a speech to the Constituent Assembly BR Ambedkar once said, “On January 26, 1950, we are going to enter into a life of contradictions. In politics we will have equality and in social and economic life we will have inequality.” In her medical interventions, and as a Dalit woman, Kajubai Undirwade has defied these disparities. Kanika Sharma is pursuing her MPhil at the Centre of Social Medicine and Community Health, Jawaharlal Nehru University. Aashish Gupta is a PhD candidate at the Graduate Group in Demography, University of Pennsylvania.